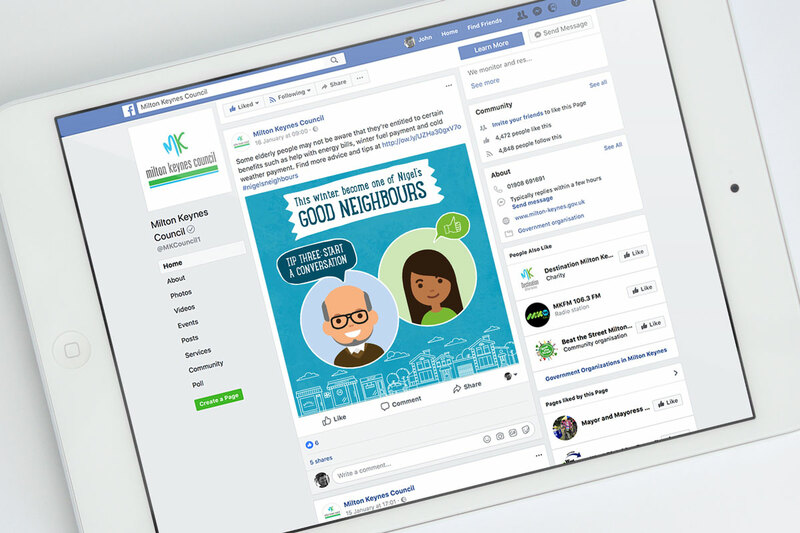 Milton Keynes Council asked TravisBead to illustrate a campaign to encourage people to be “Good Neighbours” to the elderly in their local area. The “Nigel’s Good Neighbours” campaign, has been set up by MKC’s Cabinet Member for Adult Social Care, Councillor Nigel Long, and hopes that by looking out for our elderly friends and neighbours they can avoid unnecessary hospital visits this winter. The graphics are to be used extensively across the council’s social media channels and on posters across Milton Keynes.